Rock Island Village understands that adult children and caregivers may need to travel for work, weddings or for a vacation. 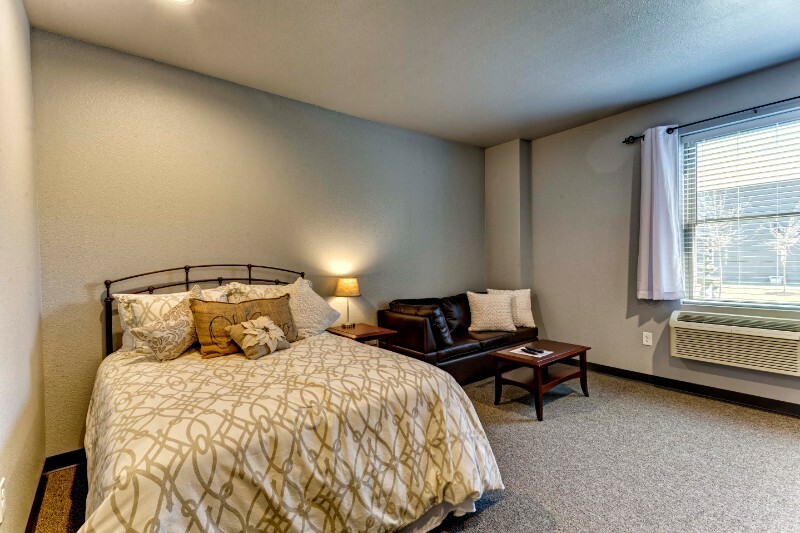 We have a Respite program for your loved ones, who can stay with us for a night, for a week or more in our beautiful private apartments or in our cozy Memory Care wing. All furnishings provided, all meals, activities & transportation are included, and they will receive help with medications and therapies just like a full-time resident. It can be a wonderful introduction to our house for a senior who may have an old-fashioned idea about Assisted Living and who don’t know how wonderful our lifestyle is! Contact us today to learn more, check our affordable nightly rates and to schedule a tour.